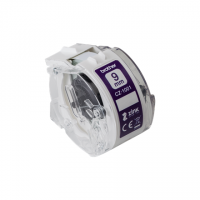 Brother CZ-1001 White, Full colour continuous label roll, 5 m, 0.9 cm.. Brother HSE-231 Black on white, TZe, 1.5 m, 1.17 cm.. Brother TZ-S231 Strong Adhesive Laminated Tape Black on White, TZe, 1.2 cm, 8 m.. Brother TZe-145 Laminated Tape White on Clear, TZe, 8 m, 1.8 cm.. 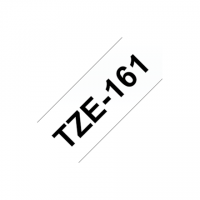 Brother TZe-161 Laminated tape Black on Clear, TZe, 8 m, 3.6 cm.. Brother TZe-FX211 Flexible ID Laminated Tape Black on White, TZe, 0.6 cm, 8 m..